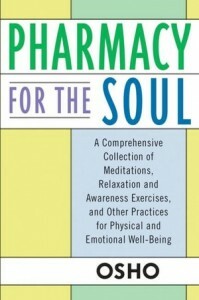 Pharmacy for the Soul suggests holistic remedies for a variety of ailments. Each section begins with a description and diagnosis of an emotional or physical ailment and then lists a number of prescriptions. Remedies include stretching techniques, meditations, laughter and breathing exercises, vocalizations, visualizations, chants, and massage, which are Osho’s suggestions for helping to cure everything from nail-biting to insomnia to depression. 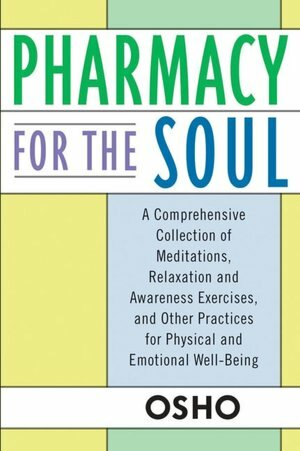 In addition to treatments, the book is laced with poetic, humorous, and illuminating commentary that explores how one can come to peace with oneself both physically and emotionally. For the experienced holistic reader seeking further inspiration, or for the newcomer in need of direction, this is the must-have medicine cabinet of aids to living a life that is healthy, relaxed, and full of spontaneous joy. This entry was posted in Books, eBooks, Osho, OSHO Books. Bookmark the permalink.